What is a Numerical Reasoning Test? A numerical reasoning test is one of the core sections of any psychometric assessment test. You’ll need to understand numerical information, then apply the appropriate operations to find the correct answer. Numerical reasoning tests are multiple choice, and you’ll typically be given between 4 and 6 options to choose from. The maths required is generally high-school level (for age 16). Despite this, you’ll need to be well practised and efficient. In most tests, you’ll typically have between 45 seconds and 2 minutes on average to answer each question. Some rarer forms of numerical reasoning tests have no time limit and/or negative scoring (incorrect answers subtract from your total score, rather than just scoring 0). 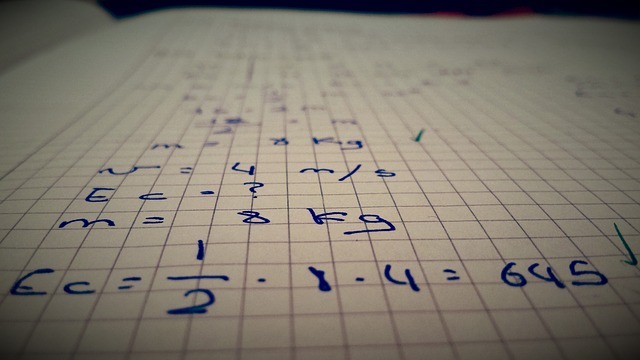 In numerical reasoning tests, you will typically deal with graphs, tables, number sequences and text. These will contain the raw data needed to answer a written question, but you will often have to perform several operations on that data to arrive at the answer. The key is being practised enough to quickly identify what operations are needed, and then to perform them accurately. It’s important that you remember not to make assumptions. Everything you need to answer the question is on the page, and on the page alone. Similarly, there should be no prior knowledge required beyond basic mathematical skills. No niche formulas to memorise or anything like that. Depending on the company, numerical reasoning tests could be taken at home or at an assessment centre. Sometimes both: many organisations use an anti-cheating method that requires candidates to take another test at the assessment centre in person. If the home score and the in-person score are wildly different, then alarm bells start to ring. Basically, don’t pay someone to take your test for you. Why Do Employers Use These Tests? What Makes Numerical Reasoning Tests Challenging? What Maths Knowledge Do I Need to Pass? Different Suppliers of Numerical Reasoning Tests? What Information or Allowances Should the Test Provider Give You? If you want to dive in and get practising, then we’ve got you covered. Try this one below. It was created by WikiJob in association with psychometric experts and closely modelled on real tests. You'll find it's similar to the SHL tests that are often used. The test consists of 10 questions. While there’s no time limit on the test, it was designed to be taken in 10 minutes. This test is a little harder than the real thing, so don’t worry if you struggle at first. It’s better to tough it out in practice and then be pleasantly surprised at the test itself. You need to score 70% to pass the test, which you can take as many times as you like. Click the 'Take test' link below to get started. Try this numerical reasoning practice test similar to SHL, PSL and the GTIOS psychometric tests used by many companies as part of their application process. Psychometric assessment tests have a long history of research behind them. A strong correlation between performance on these tests and performance in the workplace has led to companies all over the world investing heavily in them and employing them as a crucial aspect of their recruitment process. The numerical reasoning part of these psychometric tests focuses on your ability to work with numbers. Many employers need to know that you have a solid foundation of basic mathematical skills. These skills (calculating percentages, ratios, fractions, profit, revenue and so on) are crucial in almost any area of business. Company recruiters know that their new hires won’t necessarily have a great deal of industry or job-specific knowledge. That’s what comes with experience. The key for them is to choose applicants who have the foundations that allow them to adapt to the environment and pick up the skills and knowledge they need. That’s the reason why these numerical reasoning tests typically don’t require mathematical skills beyond addition, subtraction, multiplication, division, ratios and percentages. Companies are primarily interested in your grasp of the basics. They’re asking: ‘Is this person confident working with numbers in general?’. It’s also the reason why they often have a strict time limit. This sort of arithmetic should be the kind you can do quickly and accurately, whenever it is needed. The fact that these tests are quite fair in general. They’re based on nothing but your raw ability and practice. For these reasons and more, many employers even say that they value these aptitude tests more than university degrees. Numerical reasoning tests are often the most difficult aptitude test type for many candidates. This is for a few key reasons, which we’ll outline here. As mentioned previously, you generally have between 45 seconds and 2 minutes per question on average. At the lower end of that scale, that’s really tough. In fact, there are many tests in which making it to the end is a feat in itself. Having the ability and confidence to be able to interpret the data, decide what needs to be done, and then perform those operations quickly is challenging, so practice is essential. Many questions won’t have a straightforward answer. You won’t, for example, only have to multiply two numbers to reach the solution. This is an often-overlooked skill that only comes from practice. You might be a whizz at the actual addition, multiplication, percentages and so on, but you’ll still be left behind if you can’t quickly and accurately identify exactly which operations you need to do, and in what order. Make sure you practice how to work with the question in relation to the data you’re given. You need to be able to quickly see how you can answer the question from what’s in front of you. Sometimes the mathematical skills themselves can be difficult –especially if maths isn’t your strongest area. When you factor in the previous two difficulties – the time limit and understanding how to answer the question – the pressure of the situation can very easily make it difficult to perform. The good news is that you won’t need any particularly advanced mathematical skills. Certainly, things like algebra or trigonometry are out. So you need to focus on honing the basics. And remember: you will be under pressure, both from a strict time limit and from the importance of the test. Though these skills are simple, they need to be second-nature. Practice them until they are. A few tests are marked negatively. Other tests also include an accuracy score that’s visible to the employer. Find out in advance if your test will be marked this way. If so, guessing questions won’t be a good strategy, as it will result in low accuracy. You will usually be allowed a calculator. At home, this will be your own, but at assessment centres they are often provided. Nevertheless, always bring your own with you just in case. In addition to these basic skills, you will also need a good grasp of how to string them together to arrive at an answer. You may need to interpret a graph and then perform a number of different operations on different numbers along it, to reach the solution. WikiJob recommends taking practice reasoning tests for better performance during the examination. Our partner JobTestPrep has copious sample tests to try, which you can practice until you have really mastered this type of assessment. Not all numerical tests are created equal. While they all aim to test a similar set of skills, each test creator will have their own ideas about how best to go about that. As part of your preparation, if you can find out what test provider the company you’re applying to is using, then you’ll be able to focus your practice even more. Two of the main test providers are SHL and Pearson, some of the oldest names in the industry. Their tests tend to set the industry standard, with many test suppliers following suit and only making relatively minor changes to the format. If in doubt, you can’t go wrong practising their tests. With that said, some providers do shake things up. For instance, Talent Q has an innovative test that adapts as you go. Your correct and incorrect answers help to inform the test of your skill level, and it adjusts the questions accordingly. This allows the test to be flexible and short. cut-e also stands out from the pack. With very short tests between 5 and 12 minutes long, its questions focus on more abstract, mathematical elements rather than graphs and charts. This can throw some candidates off, who are used to working with more practical types of questions. Of course, you should always bear in mind that companies can choose to change supplier at any time. Which supplier a company uses sometimes depends on the specific role and department. Practising reasoning tests is always beneficial. However, be aware that the format might change, even though underlying skills remain the same . Ensure you build up the essential skills you need that are applicable to any numerical reasoning test. It’s those skills that are being examined, not specific knowledge of a particular test. Being able to think on your feet and adapt to changes is also something most employers will be looking for. How Do I Find Out Who My Test Supplier Is? There are a number of ways to go about finding this out. A good starting point is to do some online research. Use sites like JobTestPrep that have plenty of information on the various test suppliers and which companies use them, as well as the other way round: companies and which test suppliers they use. It’s worthwhile searching Google for answers and see what comes up. Often, previous candidates have done this research and discuss it on Glassdoor and WikiJob’s forum. When doing this, beware of outdated information. Always check when something was posted and decide whether it’s likely to still be relevant. A more direct way you can get this info is to email the HR team at the company you’re applying for. This might seem awkward, but it’s a perfectly legitimate question to ask. Some companies might be a little reluctant to tell you, but with a bit of perseverance they usually will. With limited time, the best thing you can do is to practice and prepare for your test, whether you’re taking it online or in person at an assessment centre. The very first step is to research your test. Read up everything you can about numerical tests in general and see if you can find out exactly what kind of tests the company you’re applying to uses. Also check out forums or ask friends who’ve taken the test for any tips. This will help you to focus your practice and make it much more efficient, as well as getting used to the format you’ll be faced with. Other test-takers will often have some great advice based on first-hand experience. Once you think you have a good grasp on what you’re up against, the next step is to simply practice, practice and practice. Run through sample questions and full mock tests as much as you can. You want the process of answering the questions to feel like second nature. For at least some of that practice, you should also try it under test conditions. 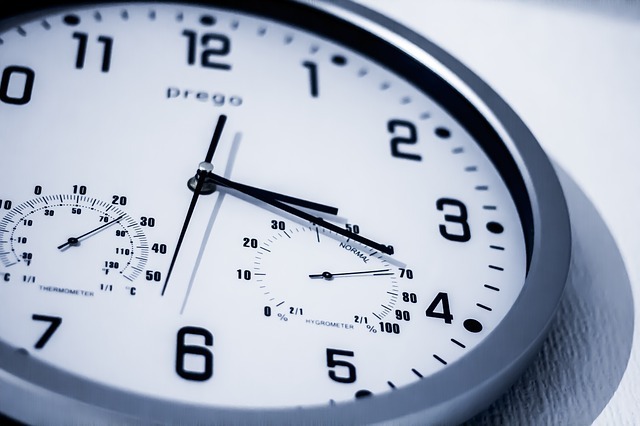 In particular, you need to get used to timing yourself and sticking to strict time limits. If you have 30 minutes to answer 30 questions, then you need to make sure you don’t spend longer than a minute per question on average. You can do this by using a stopwatch. Every time it reaches a minute (or whatever the average time is), reset it and move on. Come back to the ones you didn’t finish if you have time at the end. This will help you to not be flustered by the pressure of the test itself. Once you’re totally used to the format and the questions, the actual test is just a matter of staying calm and getting it done. First, make sure that you’ve had plenty of sleep, plenty of water, and something to eat. If you’re doing it online at home, then find a quiet, private room you can sit in. Make sure you won’t be disturbed, and check that your internet is stable. Take a deep breath, stay calm, and start your test. If you’ve practiced and prepared well, then hopefully taking the real test should feel familiar. Just with a little more pressure. Do things exactly as you’ve prepared. Calculate the average time you have per question and use your stopwatch to stay on time. Often, you’ll be given a couple of example questions so that you’re aware of the format and can orientate yourself. This is not just time to relax! These questions are the perfect opportunity to get to grips with the test. Here, you’ll have the time to look carefully at the format. How do they pose questions? What is the data like? What kind of calculations need to be done? Jot down anything you think might help you going forward. This will also be the last chance you have to ask any questions you might have before the test begins. Don’t let the time limit stop you from reading thoroughly. It’s particularly important because mistakes are often the cause of forgetting to do a particular step of calculations, or not comprehending the question correctly. Don’t let yourself get caught out. The best advice is to read every question twice and then make sure you read the information carefully as well. Remember that everything you need to answer the question is on the page and nowhere else. If you happen to remember a figure or a fact from your research elsewhere that seems like it could be relevant, ignore it. Also use this knowledge to encourage you. If an answer seems impossible to find, you know for sure that it is possible based only on what’s on the page. Similarly, if you’re really stuck, then look at some of the multiple choice answers you’re given and work backwards. How would you arrive at that answer? Does that seem correct, then? A key skill that the numerical assessment aims to test is your ability to scan data and hone in on what’s important. That’s why it’s crucial that you read the question carefully so that you know what you need to find out. Then read the context carefully. What data does the table contain? What does the graph show? Then you need to figure out what data you can ignore and concern yourself only with the information that will help you to answer the question. Have your scrap paper beside you and make use of it. It can quickly become overwhelming having to juggle a lot of data and information in your head. Save yourself the trouble and write down the facts you think are important as you work through the question. A very common slip-up in numerical tests is to get units of measurements, currencies, etc confused. Sometimes you will need to convert between currencies, and so you might have a US Dollar price listed as well as a Euro figure, for instance. Using these two figures as if they were the same currency will send you straight to the wrong answer. Don’t just look at the numbers. Check the context and what kind of number it is. The same goes for graphs, tables and charts. Always check the axes, what they represent, and if there are any abbreviations (such as writing ‘10’ on the graph, when the axis explains it refers to ’10 million’). It seems obvious, but in the heat of the moment these things can be easily forgotten. If you’re taking a test in person at an assessment centre, it’s likely that you won’t be alone in the room. Don’t let it get to you. Other candidates might be sighing, or fidgeting, or rustling paper, or looking around. It doesn’t matter – you’re there for your test and your test only. There’s no time to be distracted, so keep your head down and focus on your own numerical test. As with any type of recruitment-related test, ensure you familiarise yourself with the process so that you know what to expect and are adequately prepared. Psychometric tests are quite formal and impersonal, but there are many ways in which you can practice. As well as our own aptitude tests, WikiJob recommends the test packages available from Numerical Reasoning Test. This process shouldn’t just be all about the employer and what they can find out about you. It’s also important that companies are open and transparent (within reason) about their testing and evaluation process. Make sure you know what you should be able to expect from them before you take your test. Essentially, the company should let you know what the test entails and should be open to you asking questions about it. Sometimes with disabilities, instead of making accommodations for taking the test, the company and/or test provider prefers to make adjustments to your raw score, rather than your conditions for taking the test. If in doubt about anything (especially disabilities), make an enquiry and explain your situation. Is it Better to Finish the Test or Focus on Accuracy? This depends partly on how the test is run. To find out what kind of test you’re taking, check out the ‘Different Suppliers of Numerical Reasoning Tests’ section further up the page. In general, it’s best to go for accuracy. For most tests, the employer will receive an accuracy score as well as your raw score. They will be more interested in a candidate who took slightly longer but was much more accurate, than a candidate who raced through but was sloppy. When Should I Get Feedback on How the Test Went? What feedback you get and when varies a lot from company to company. Some provide you with no feedback, some only if you succeed, some offer a summary to all candidates. Depending on the kind of feedback offered, this can happen instantly after you complete the test (an automated feedback system), or anywhere from a few days to a few weeks (or never) after completing the test. If you’re unsure of whether or not you get feedback or when you should have it, just ask the company’s HR team. 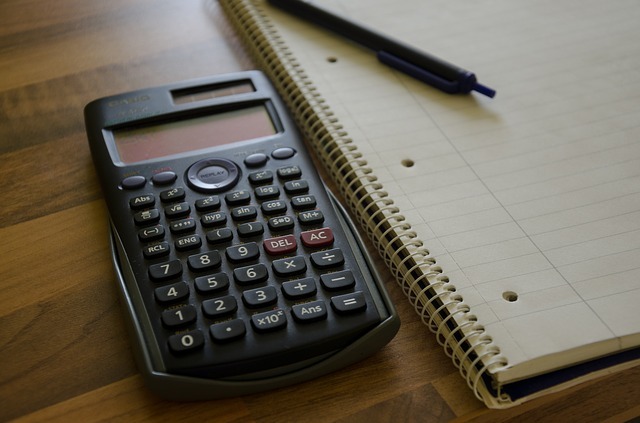 The majority of tests conducted in person at an assessment centre must be done with calculators provided, but always bring your own just in case. It’s always best to use a calculator you’re familiar with. As always, there’s no harm in asking beforehand whether candidates can use their own calculators. Can I Use My Mobile Phone During the Test? You probably won’t be allowed to if taking the test in person, but it wouldn’t help anyway. The tests are designed so that all you need is your calculator and your own numerical ability. There’s no time to find answers on Google or forums. I’m Thinking of Getting Someone Else to Take the Test for Me. Is That a Good Idea? Getting someone else to take the test for you might help you make it past the unsupervised online tests and through to the next stage of the process (assuming, of course, that the individual is actually better at the test than you). But employers aren’t stupid, and they won’t be fooled in the long run. It’s very common that at the assessment centre stage you’ll be asked to take another set of aptitude tests, supervised and in person. The result of this test will be compared against your original online test and analysed. If you have cheated, you will most likely be found out at this stage. And that’s just one of many anti-cheating methods employers have. Many of them aren’t publicised, because if they were then cheaters could look for ways around them. It would be devastating to make it so close to getting the job, only to get found out and have your application (or even job offer) immediately rescinded, as well as possibly getting blacklisted from applying in the future. Don’t take the risk. Putting in the practice is a much more effective and rewarding strategy. It’s always good to search widely for resources that can help you prepare for your numerical reasoning assessment. Here are some of our suggestions for additional resources that are worth looking into. We’ve created a numerical reasoning test app, available for both Apple and Android. It contains 10 tests of 20+ questions, which simulate the ones published by SHL, Kenexa, CAPP and Cubiks, among others. It has a built-in timer, and afterwards you can check out the solutions with workings, to learn and progress. JobTestPrep offers a wide range of professionally-designed numerical reasoning practice packs, questions, tests and resources for you to sink your teeth into. They’re written in a similar style to PSL and SHL tests, which are two of the most popular, but the skills will nonetheless be applicable to any numerical test you take. The questions are structured in a professional format, just like the real thing. Practice numerical reasoning tests are also offered by providers like Psychometric Success, Graduate Monkey and AssessmentDay. Practising with different resources will help reduce surprises during the real test. While not as popular these days for practising aptitude tests, don’t count out the humble book. We’ve found Rob Williams’ book Passing Numerical Reasoning Tests to be very helpful, for instance. Marilyn Shepherd has also written a useful book called Numerical Reasoning Tests. In it, you’ll find a treasure trove of beginner, intermediate and advanced practice questions with answers and detailed workings. It’s a great book to really get to grips with the nuts and bolts of a numerical reasoning test. What Are Brain Teaser Questions?